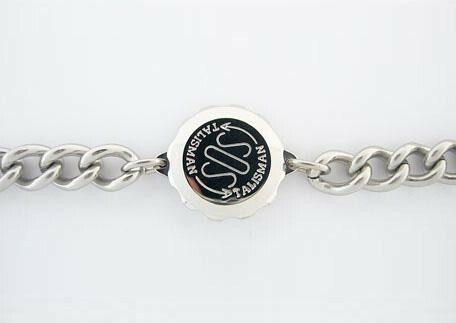 Steel gourmet bracelet, width: 9.0mm +- 21cm long SOS talisman (sosas) Any questions about this product? Do not hesitate to contact us. Unbelievably found the original strap for my watch on this website. I honestly thought it was going to take months. My watch is one of those that, because of the shape, will not take any generic band. It has to be the manufacturers one. Ordered away only to be told that it was out of stock. That wasn't clear when I ordered. However I was notified very quickly and given a timeframe of when stock was expected. It was only a matter of days that I was again notified by email to say that my band was on its way. Bloody brilliant. Turned up in the mail in good time. As I said it had to come to me in Australia. Product was in perfect condition, well wrapped. Package contained all the receipts etc you would need. I will definitely search here first when I need a new watch band for other watches. Overall a very good experience. Thank's for sharing your positive experience with our website. Always pleased to be able to make the impossible possible for our customers. We can offer you the following alternatives. You can order one of these alternatives instead of the original product in case of non-stock items. Alternatives will always fit as good as the original product but may be slightly different in color or material type. If you have any doubts or questions, then please contact us to be sure.